Ok, I just received a Samsung Galaxie Tab 2 7.0 from Verizon to play with for a few weeks. 1. Do you have a tablet? 2. What type is it? 3. How do you use it in your daily life? 4. How do your kids use it? 5. What are your favorite apps to use on your tablet? 6. What would YOU like to know about these devices? Let's start talking! I promise to report back with all my findings! Meanwhile, I'm hitting the hay! I have been informed I will be spending most of my day in the combine tomorrow, then it's off to run girls to practices and do homework. 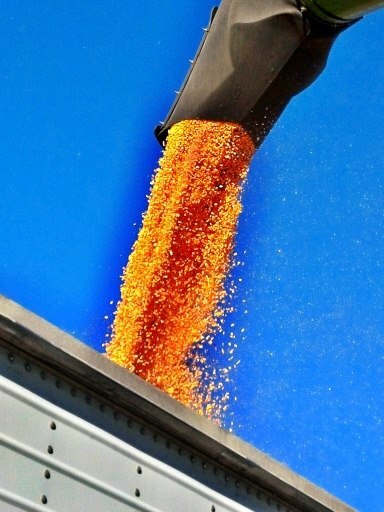 There IS corn out there in the fields to be picked, or shelled as some like to call it. Not as much as last year, but we are feeling quite blessed just to be able to fill up the hoppers, auger wagons, and semis this year. Be safe out there, and keep an eye out for the farmers in LARGE but slow moving vehicles! I won an iPad in a raffle this summer. 1 ticket for $5 and I won! Woot! Anyway, I use the tablet in place of my laptop for things like email, Facebook, Twitter. If I have to create a document or something, I still use the laptop. I also use the tablet to play games -- Words with Friends, Hanging with Friends, Scramble with Friends for me. The kids use it for games like Angry Birds, Doodle Jump, Minecraft. My 13yo son uses it to check scores on ESPN sports center. It's also pretty handy for watching movies on Netflix. One fun thing we've done is download the Nook Kids app. We find books that have a read to me feature. DS reads the story out loud first. Then his reward his getting to have the story read to him by the iPad. It's not free -- usually $5 a book, so we read the same 3 over and over, at least for now. Busy time of year for you. 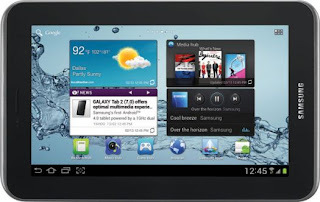 I have the Samsung Galaxy 10.1 tablet and love it. It's the one that was taken off the market because it was too similar to the iPad, so I call it "Contraband". I use my tablet for Facebook, Twitter, and now blogging on the go. The kids also like to play games like Temple Run, Memory Match games, and word searches. When I'm at home, I often use it like a recipe book. I search for the recipe I want then leave it on the kitchen counter as I cook. (Away from the water, of course). For work, I use it to reply to emails, but I find it much easier to do so when I use the bluetooth keyboard that I also purchased. I also take notes on it using the "Extensive Notes" application which converts my notes to word. I love my tablet so much that when I upgraded my phone, I got the Samsung Galaxy SIII phone too. Have fun! I have a Kindle Fire and I use it everyday, mostly for reading but also for internet browsing, Facebook, etc. Recently I've started taking it to Sunday School and playing songs for the kids to sing to. I love it! I have a few educational apps. My daughter (3) likes to trace her letters and my boys mostly beg to play Angry Birds or Smurf Village. My husband has a Kindle Fire and loves it. He browses the internet, reads, and listens to music on his. I still use the desk top, as I work with photos a lot.